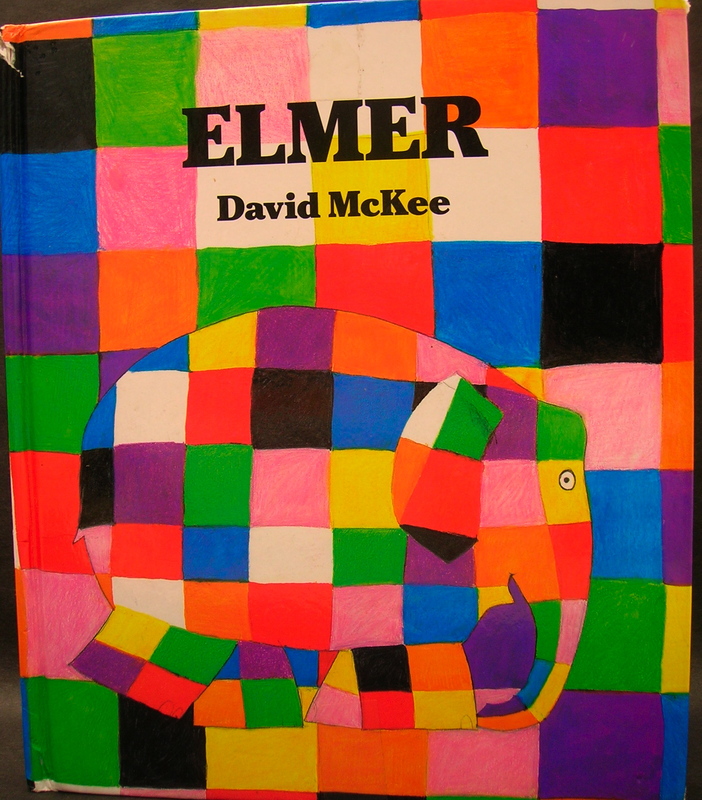 I read the book Elmer by David McKee to first graders for their illustrator study for reading month. On day one, I guided students to draw an elephant step-by-step. Then, using watery glue, they brushed glue on their elephant and applied squares of tissue paper over the glue. Some students were very careful and made the elephant look like Elmer, while others allowed their squares to tilt and turn and overlap. Then next week, students drew a jungle background with construction paper crayons. We looked at many illustrations from the book for ideas. 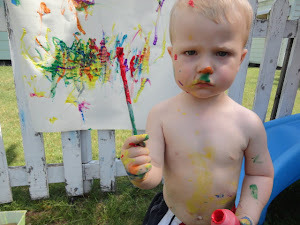 Finally, in the third class, students outlined Elmer with Sharpie, cut him out, glued a wiggly eye on him, and glued him to their jungle.